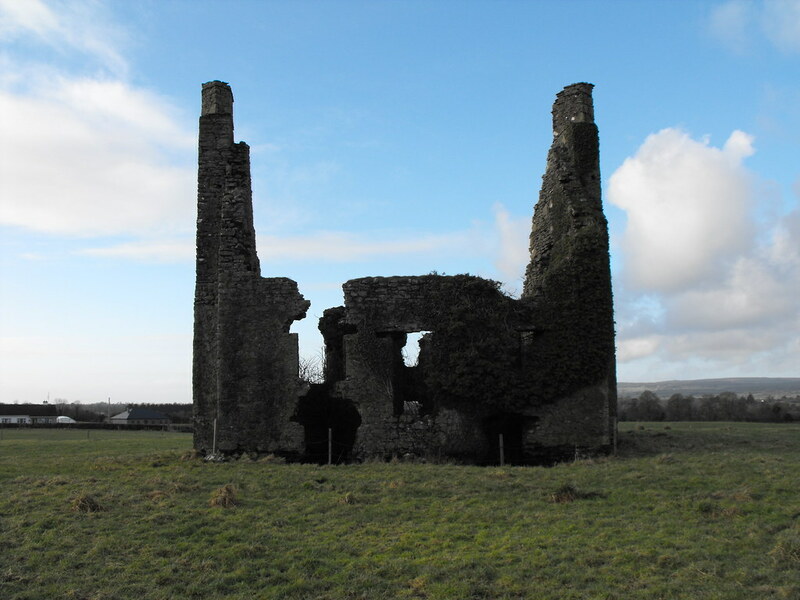 The Standing Stone: Derrin Castle, Borris-in-Ossory, Co. Laois. 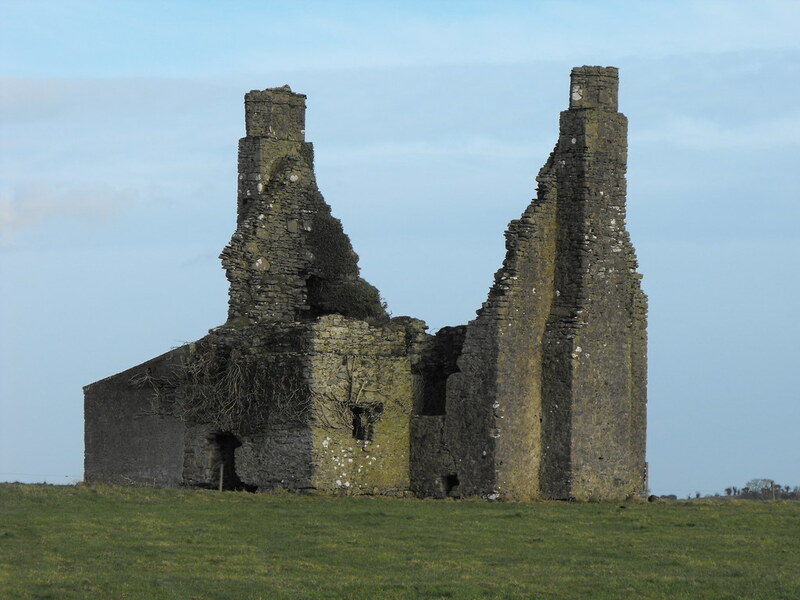 Derrin Castle, Borris-in-Ossory, Co. Laois. 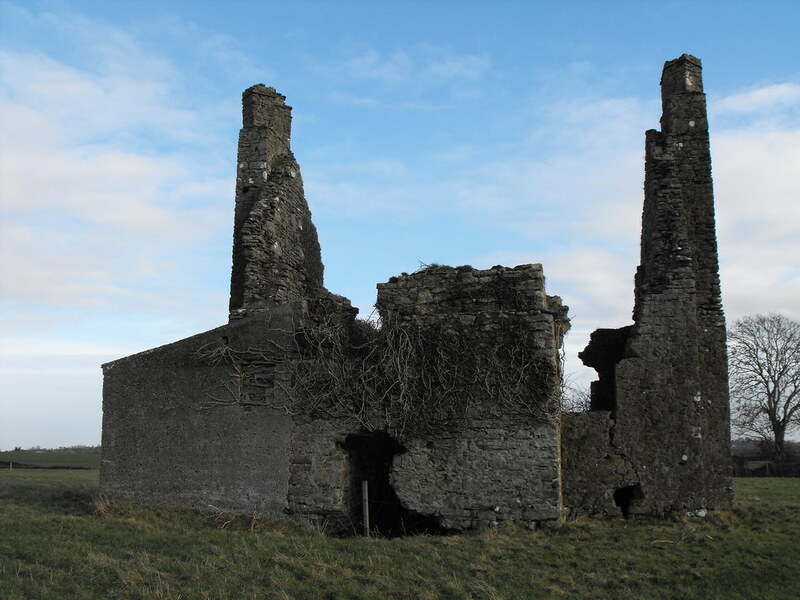 Location – Just outside Borris-in-Ossory and visible from the N7. 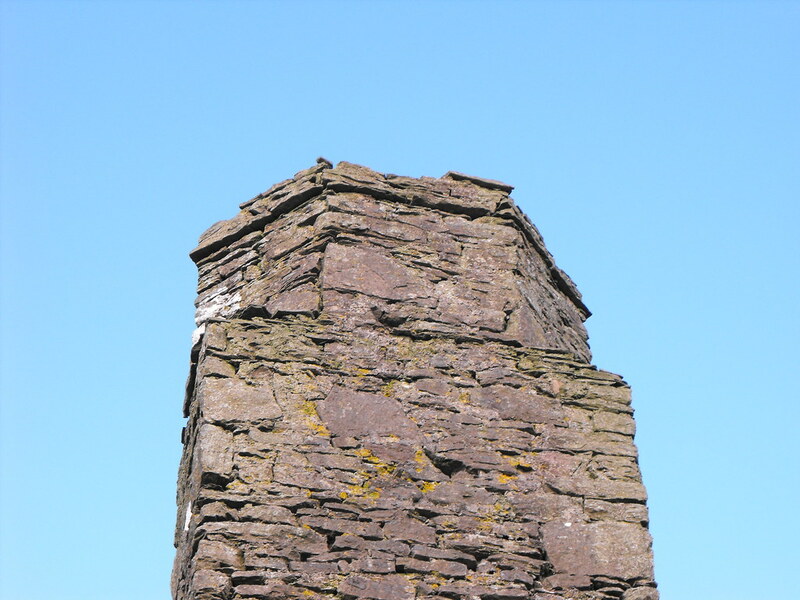 Description and History – Known as Derrin Castle, this is not a castle. It is not even a fortified house. It is just a plain house. 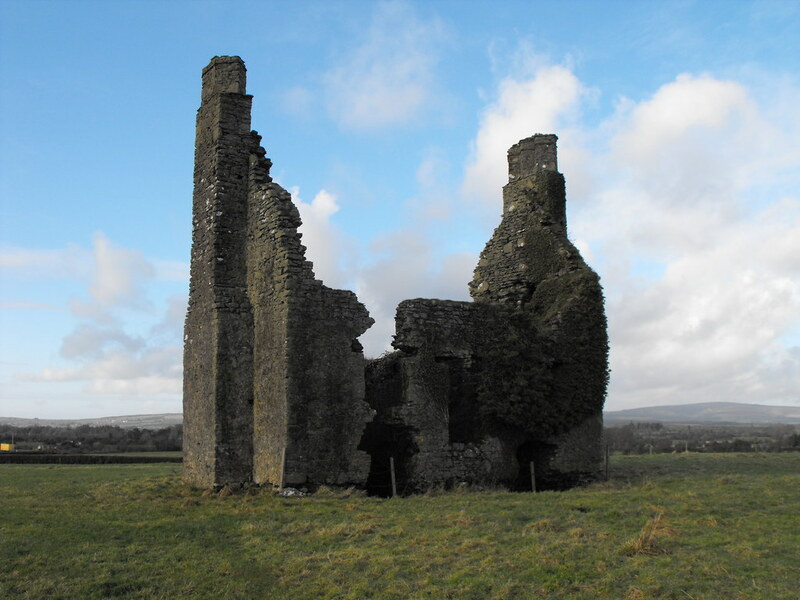 It is included in the Archaeological Inventory for County Laois because it pre-dates 1700 and is a sizable property. The life of this property is very short and only appears to have been occupied for 75 years at the most. It was constructed in the early 1600’s and was abandoned in 1675 when the last owner, Dorothy Hedges, died. 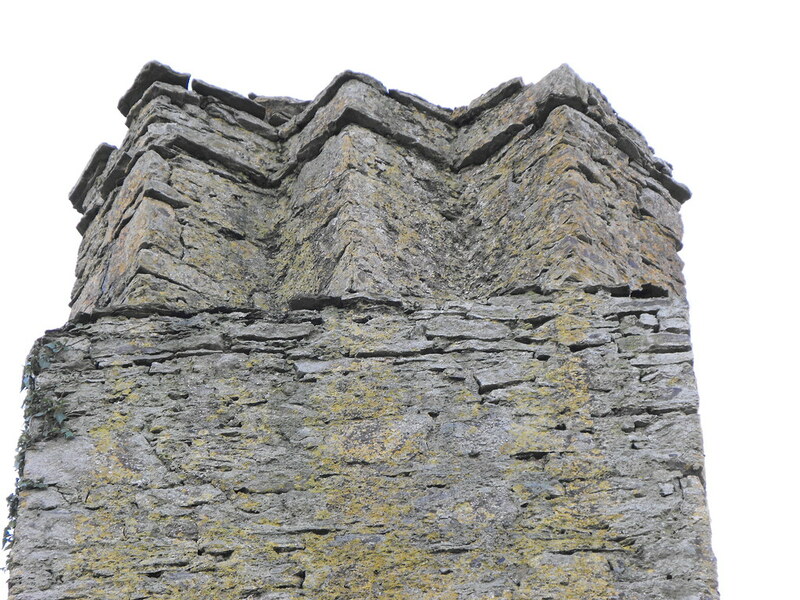 Constructed of limestone, this is a T-shaped house with huge projecting diagonal chimney stacks in the N and S gables. 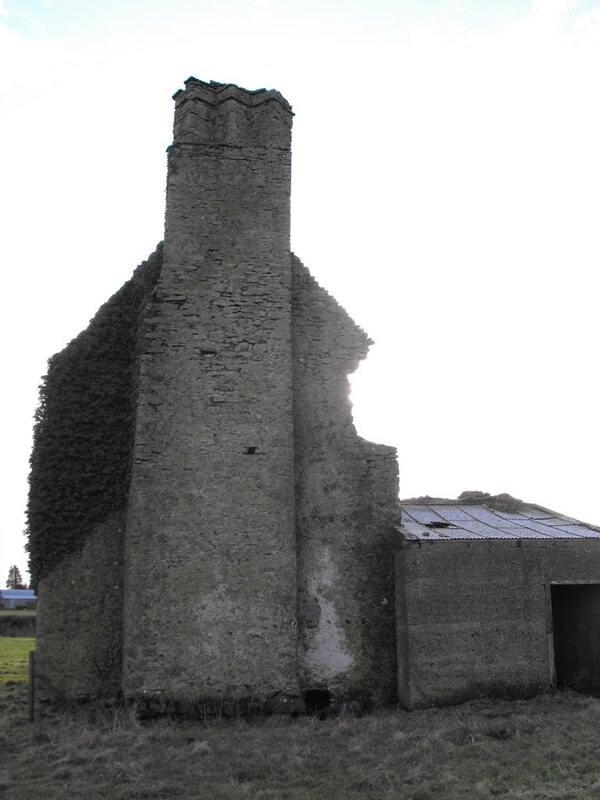 Fireplaces and windows are still visible. 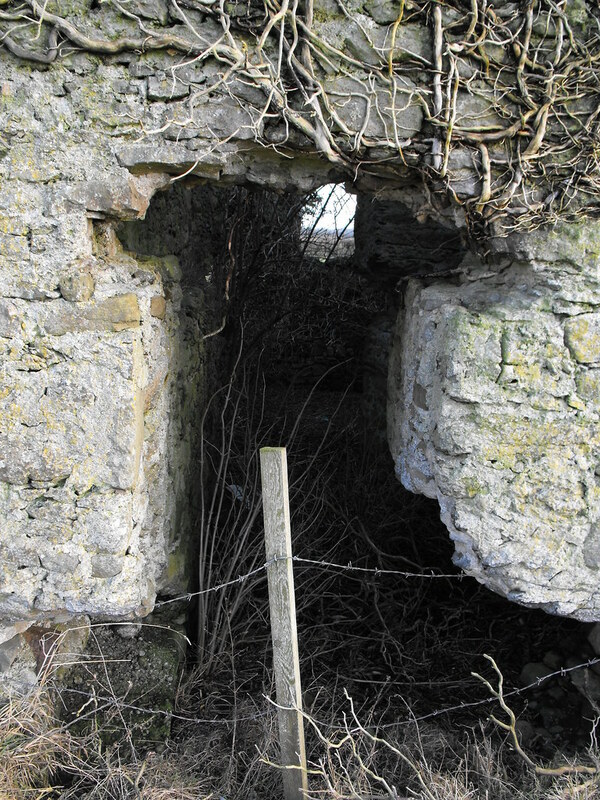 The inside is largely overgrown and has been surrounded by barbed wire to prevent entry. This was a wise move by the owner as the building really looks unstable and is in danger of collapse. Rabbits are now the only occupants of this building. 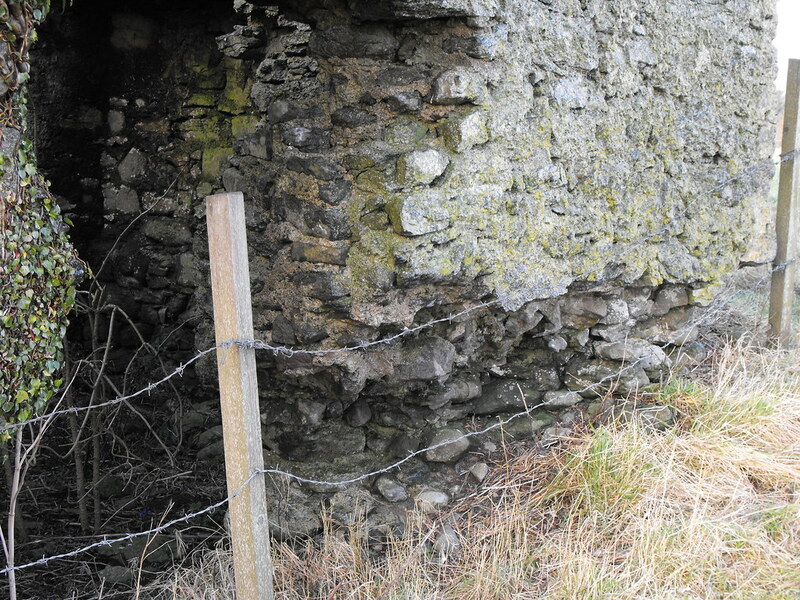 A small modern structure has been built onto the side and is used for farm storage. Difficulty – Easy to get to. It is in the middle of an easily accessible field. The view as you enter the field. From the side. Note the modern structure. 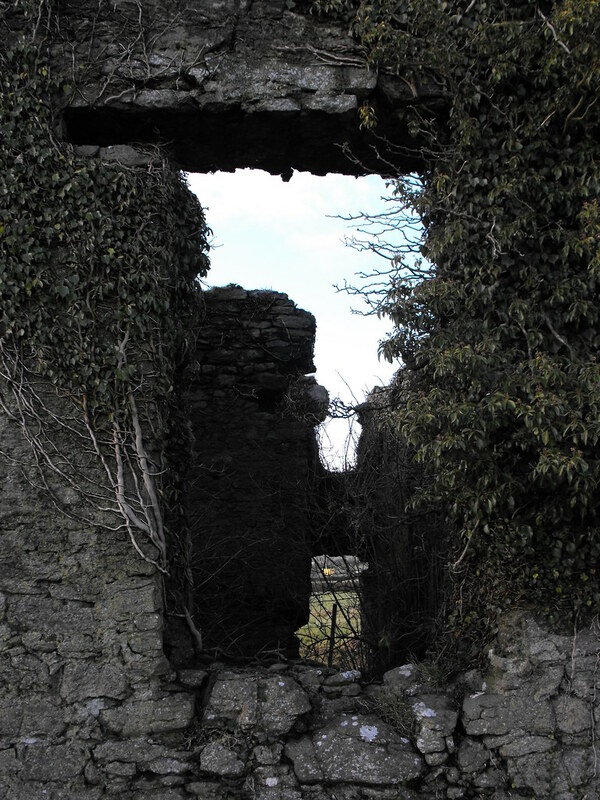 Looking in one of the former windows. 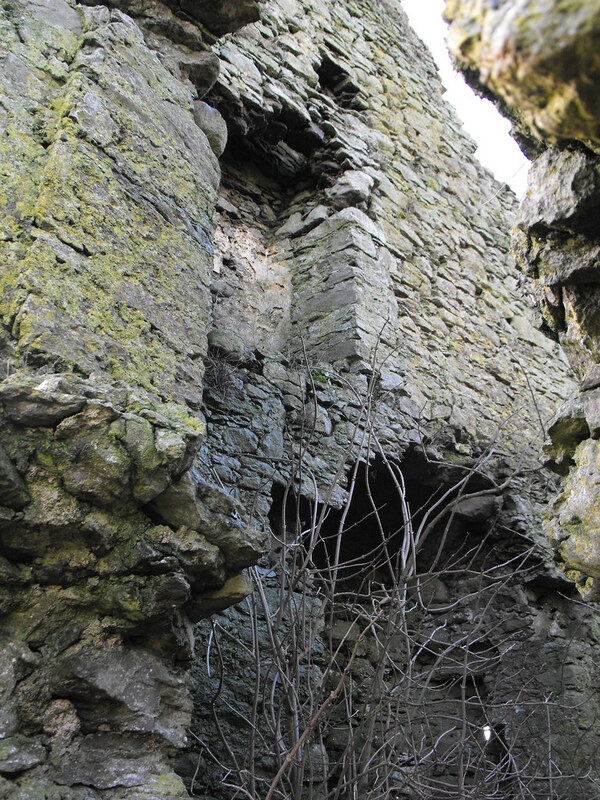 The bottom of the walls have been robbed of stone adding to the instability of the structure.